That's a whole lot of green tomato relish! Three ripe tomatoes. That's how many I was able to pick from my fall tomato crop before the frost came last Friday night/Saturday morning to ensure that there wouldn't be any more. Can somebody please remind me why I plant tomatoes every summer hoping for ripe tomatoes by Thanksgiving only to have the crop cut short by frost? And could you please try to convince me not to do it again - at least not until I get my very own greenhouse? I mean I like fried green tomatoes, green tomato salsa, and green tomato relish as much as the next person, but come on! This is a whole lot of green tomato relish. My harvest basket runneth over. Today the search is on for likely recipes and I think I've found one on allrecipes.com. It looks easy and tasty, and, yes, it IS for green tomato relish. •In a grinder or food processor, coarsely grind tomatoes, red bell peppers, green bell peppers, and onions. (You may need to do this in batches.) Line a large colander with cheesecloth, place in sink or in a large bowl, and pour in tomato mixture to drain for 1 hour. •In a large, non-aluminum stockpot, combine tomato mixture, celery seed, mustard seed, salt, sugar, and vinegar. Bring to a boil and simmer over low heat 5 minutes, stirring frequently. •Sterilize enough jars and lids to hold relish (12 one-pint jars, or 6 one-quart jars). Pack relish into sterilized jars, making sure there are no spaces or air pockets. Fill jars all the way to top. Screw on lids. •Place a rack in the bottom of a large stockpot and fill halfway with boiling water. Carefully lower jars into pot using a holder. Leave a 2 inch space between jars. Pour in more boiling water if necessary, until tops of jars are covered by 2 inches of water. Bring water to a full boil, then cover and process for 30 minutes. •Remove jars from pot and place on cloth-covered or wood surface, several inches apart, until cool. Once cool, press top of each lid with finger, ensuring that seal is tight (lid does not move up or down at all). Relish can be stored for up to a year. I can't say that my family is actually jonesing for more relish or pickles. So far this year, I've made corn relish, zucchini relish (several batches), and beet pickles. I've given some of it away, but still the shelves of my pantry are groaning with jars of relish. 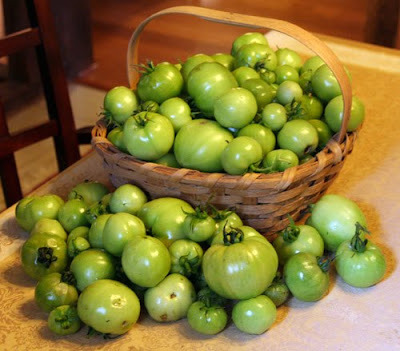 But there sit all those green tomatoes and they can't all be fried or otherwise cooked and eaten as side dishes, and since they do represent a certain amount of labor on my part, I am loathe to let them go to waste. So green tomato relish it is! I know what my friends and family are getting as stocking stuffers this year. This week my garden saw the completion of one project and the beginning and near completion of another. It also saw a continual parade of visiting critters in the garden. 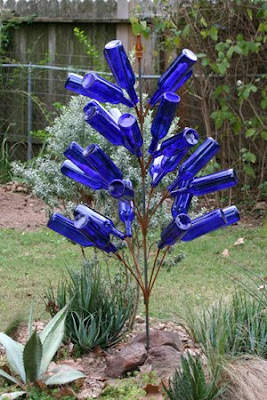 Long-time readers may remember my tale of the bottle tree. Just about a year ago, we erected a bottle tree whose trunk was made from a cedar tree that used to live in my backyard but was damaged and made an eyesore by Hurricane Ike. I loved that tree, but, in the end, it just wasn't working for me for a lot of reasons and I had to recognize that the fixes that needed to be made to it were not going to be made, so, reluctantly, I decided to take it down and put in a smaller tree. 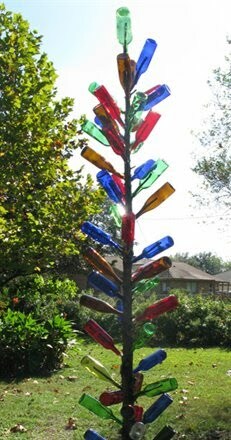 After my long-suffering husband removed the old tree for me, I installed my new, smaller metal tree trunk and put some of the multi-colored bottles on its "limbs". But I just didn't like the effect. After more pondering, I decided that perhaps the tree was just to small to carry all those different colors and maybe a one-color scheme would look better. Of course, cobalt blue is the traditional color for bottle trees, the color that keeps the "haints" away, so I got some more blue bottles to go with the ones I already had and finally the new tree was complete. Although I don't have the same sentimental attachment to this version of the tree, I think I can learn to like it at the very least. And I have to admit that it is probably a better scale for the xeric bed where it is "planted". Anyway, any "haints" that dare to enter my garden should now be instantly repelled! One project down and another under way. 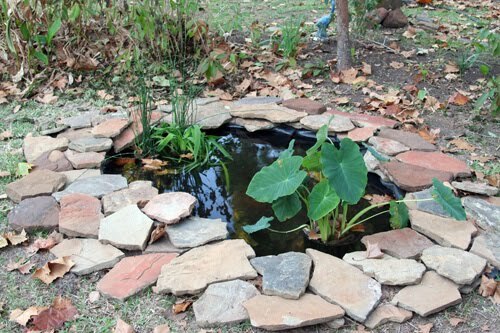 I have long wanted to have a small pond in my backyard, but never could quite decide where to put it, until I recently had a brainstorm. I have this small iron pot with a fountain in my backyard and it would be fairly easy to run an electrical cord across the bed that the fountain stands near and plug in on the other side of the bed. So that's what I decided to do. 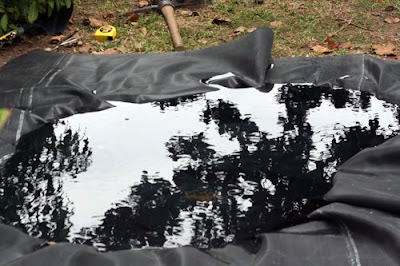 I ordered the pond liner and this week we got busy digging a big hole in the ground. 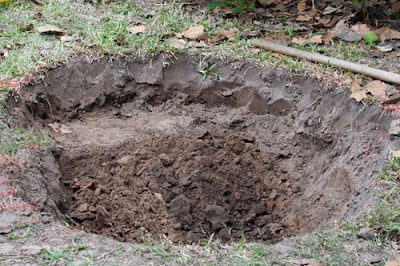 We worked on the hole off and on for about three days until we got it to the depth and size that we wanted. Finally, today, I was able to add the liner and the water. Later today, I hope to add some of the rocks that will edge the pond. By the next time you see it, it will be complete and, I hope, will be a nice addition to my habitat garden. 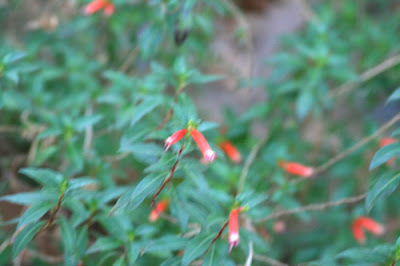 That habitat has been visited by many critters this week, including a late migrating hummingbird. 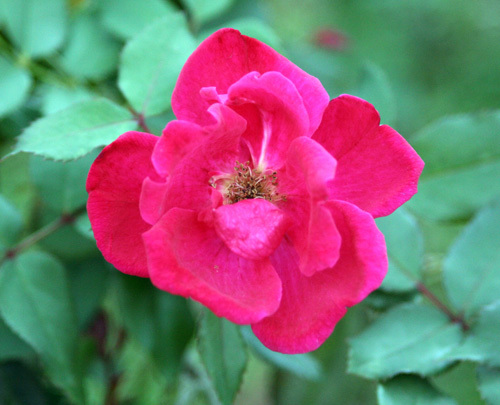 I was sitting in the backyard Thursday afternoon when I heard a familiar "chipping" to my left and turned to see a female Ruby-throated Hummingbird visiting my 'Red Cascade' rose. As I watched, she flew on over to the Cape honeysuckle which is now almost in full bloom and spent a few minutes there before resting and preening on a limb of my apple tree. After that, I lost track of her and haven't seen her again. But the butterflies have continued to show up in profusion. I showed you my unusual visitor, the Goatweed Leafwing, earlier in the week. I've also had lots of Red Admirals and several of these little guys. 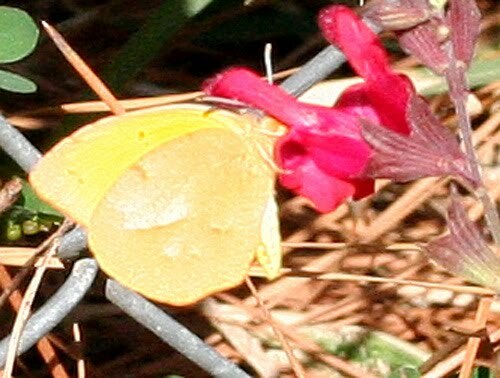 This small sulphur visiting my autumn sage is, I believe, a Sleepy Orange. Love that name! I've also had another wave of Monarchs this week. 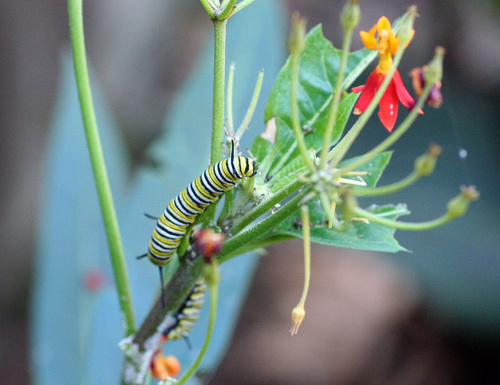 They have come from other locations, either as migrants or as locals visiting my garden, but I now have a bumper crop of Monarch caterpillars, so, soon, I hope to have some home-grown butterflies as well. After today, I'm taking most of next week off to enjoy Thanksgiving, do some shopping, and just generally chill out. I wish you a wonderful Thanksgiving with those you love and I'll see you back here in about a week. One of the blogs that I follow, Tales from Twisty Lane, recently featured a Thanksgiving Day meme. Now since Thanksgiving really is my favorite holiday of the year, I had to jump right on that bandwagon! Feel free to jump on it yourself if you like. 1. Which do you like better: Cooking at your house or going elsewhere? This is an easy one - I like being at home and doing the cooking. Part of the joy of the holiday is feeding my family, and, if I'm lucky, I might even have something from my own garden to include in the meal. My brother-in-law (Bless him!) will, as he usually does, bring a smoked turkey to the feast, so all I have to do is the side dishes. My husband's Aunt Lurline had a wonderful cornbread dressing recipe. It's the best dressing I've ever eaten, and, you can take it from me, since I grew up in the South, I have eaten a LOT of dressing! I am the fortunate recipient of Aunt Lurline's secret recipe and I will be making it again this year. Pumpkin, and maybe pecan, too, if my pecan-pie-baking daughter decides to bring one. We don't really eat much meat of any kind but, when we do, it's usually turkey or chicken. I love turkey sandwiches, so leftovers are fine by me. The aforementioned Aunt Lurline's cornbread dressing, but also mashed potatoes - some members of my family can't imagine a major holiday meal without them - and, yes, our guilty pleasure, that old stand-by, the much-maligned green bean casserole! I'll try to send the carcass home with brother-in-law. I don't really need another kitchen gadget, although a roomier kitchen would be nice. When I was employed full-time (and more than full-time), I used to wish for more time and energy. Now I have the time, if not necessarily the energy. No, I do everything I can the day and night before. Since I don't have to cook a turkey, it's not really any more difficult than cooking a usual family get-together dinner. And we are flexible about eating times. We eat when everything is ready. There's always plenty to nibble on if anyone gets hungry. 10. If you go to somebody else's house, what is your favorite dish to bring?Whatever they need me to bring. Uh, well, there is something, but on the off-chance that the bringer actually reads my blog or somebody spills the beans, so to speak, I won't mention it here, because I wouldn't offend that person for the world. It's just my nearest and dearest and I'm happy to see them all. I love it all! Did I happen to mention that Thanksgiving is my favorite holiday? That has a lot to do with the food of the holiday. Life, love, health (never mind those aches and pains), friendship, my family - both those who are here and those of whom I am left only memories. Precious memories that all flood back especially at this time of year. I am thankful for my garden - everything about my garden, even the things I don't like about it! Yes, even the weeds. I am thankful for the creatures that visit my garden - even that little Sharp-shinned Hawk who is making nervous wrecks of my other birds and even the darned raccoons that keep messing with my fountain. I'm thankful for so many things that I can't possibly name them all, but let me mention one more: I am thankful for you, dear reader. Thanks for hanging in there with me. In regard to the creatures that visit my garden, my quest to identfy all the butterflies that drop in continues, and I have a new one for you. This attractive orange butterfly didn't turn up in time to be a part of my orange themed Bloom Day post, but I saw him yesterday and managed to get this one imperfect image of him before he flew away. 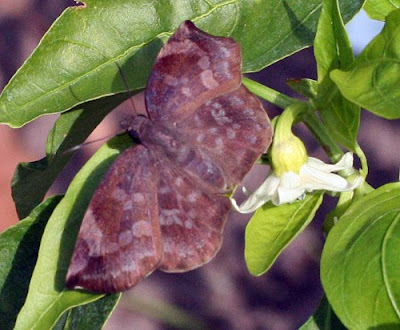 It is a male Goatweed Leafwing butterfly, sometimes simply called Goatweed butterfly. 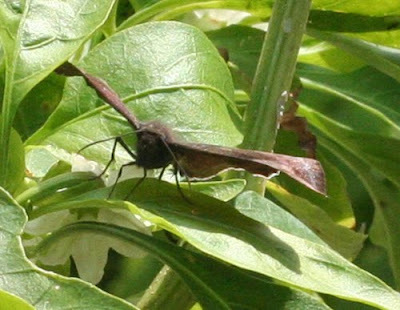 Notice the sort of "hooks" on the top and bottom of the wings. As I tried to get closer for a better shot, he startled and flew away in a very erratic flight which is one of their defenses. But I was happy to make his acquaintance, however brief. 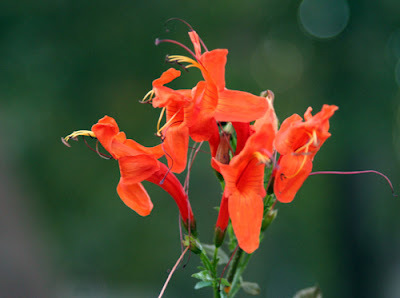 Garden Bloggers' Bloom Day: Orange you glad it's November? 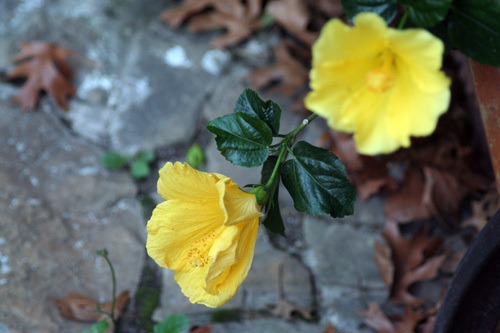 For gardeners in more northerly climes, November can be, I am told, a rather bleak and cheerless month. For many of them, winter has already come calling and the snow has begun to fall. It's a good time to curl up in a comfy chair, review the seed catalogs and dream about next year's garden. Here in the humid South, though, gardening is still possible, indeed necessary. Even in November the weeds grow here. 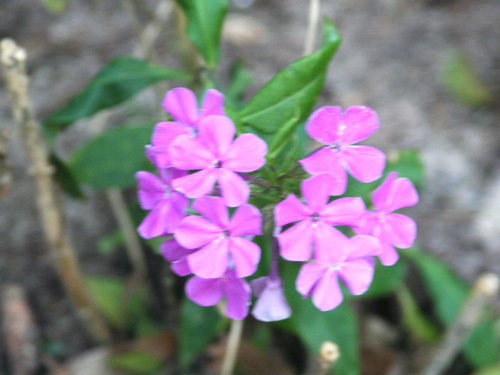 We are still tending our vegetable gardens and digging and dividing perennials. We are laying out new planting beds for digging, and, of course, raking leaves. 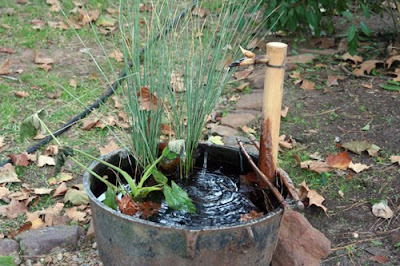 And here in my part of the humid South, we are still watering our plants because those fall rains just haven't paid us a visit this year and we are in a months-long drought. Still, November is actually one of my favorite months of the year. For one thing, it hosts my favorite holiday, Thanksgiving. 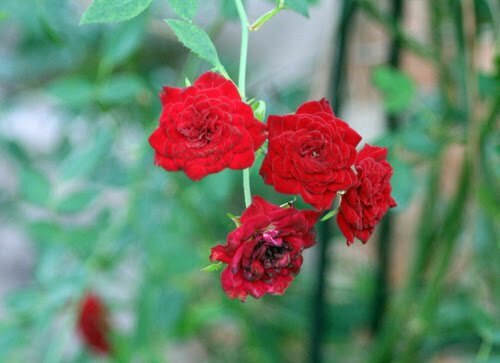 For another, it is the first month when we can more or less depend upon the weather being cool enough to actually do hard labor in the garden. November and December are our big months for making changes and improvements to the landscape. As I look around my garden this Bloom Day, it is very clear what my theme should be: Orange! The color of my garden in November is orange. Let me show you. 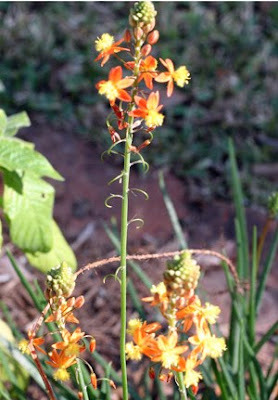 We'll start at the front entry beds where orange bulbine has made a comeback since last winter's freeze laid it low. 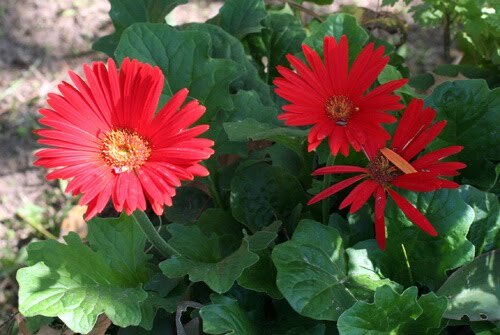 The orange gerberas shut down for a while during the hottest weeks, but now they are loving the cool fall temperatures. 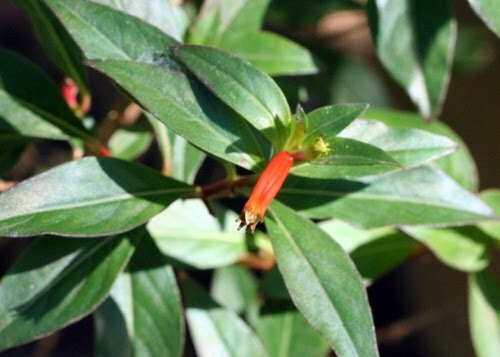 The tiny cigar-shaped blossoms of the cuphea, on the other hand, never shut down and never missed a beat regardless of the temperature. Surely these are the 'Lucifer' canna's last blooms of the year. Milkweed continues to entice butterflies with its orange blossoms, even as it simultaneously forms seed pods. 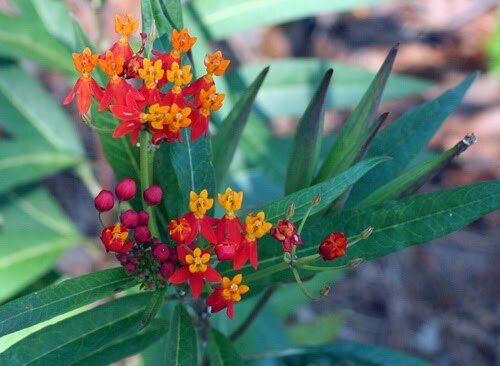 This milkweed used to have an orange blossom, also, before these future Monarchs stripped it. 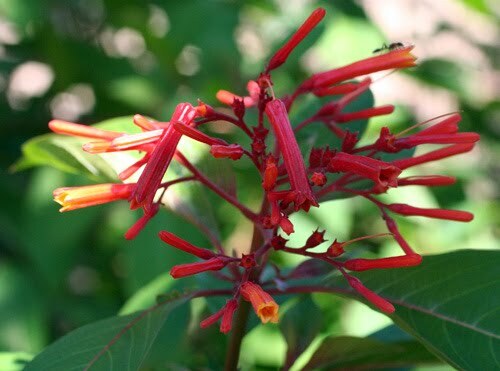 Hamelia patens' major customers, the hummingbirds, have moved on for the most part now, but sometimes even smaller customers show up. 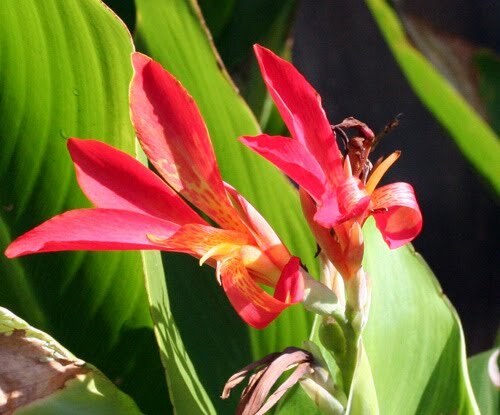 The orange species canna is near the end of its bloom cycle. 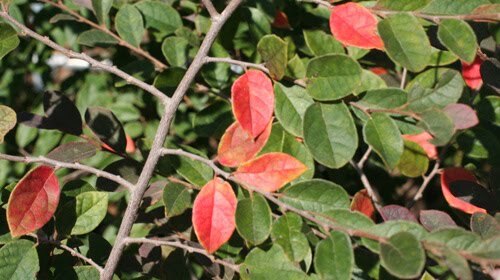 But the Cape honeysuckle, which waits for autumn to unfurl its blossoms, is just beginning its cycle. 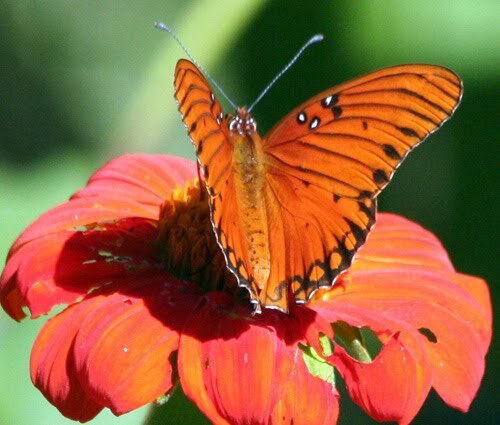 Mexican sunflowers are still drawing in scores of butterflies of many kinds, like this Gulf Fritillary. Yes, even the butterflies are orange! 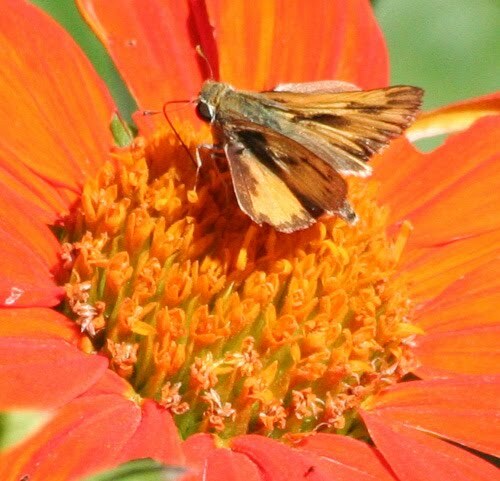 This well-named Fiery Skipper butterfly looks like a tongue of flame on top of the sunflower. 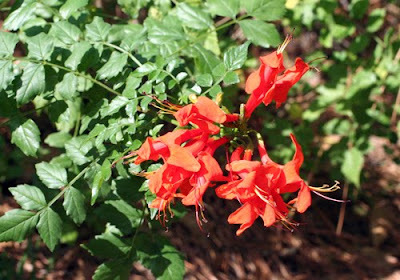 Even more tongues of flame leap skyward from this hedge of Anisacanthus wrightii, flame acanthus. 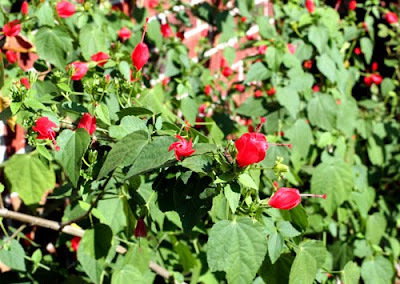 Some might see these Turk's cap blossoms as red, but to me they are red-orange and still eligible for my theme. 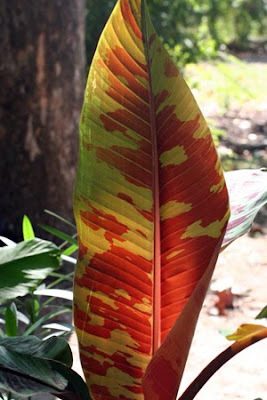 Even this Sumatrana banana leaf burns orange in the autumn sun, although in reality it is a burgundy and green bicolor. Leaves of the loropetalum, too, are getting into the orange act. And the chili pequin continues to sport its orange fruits. 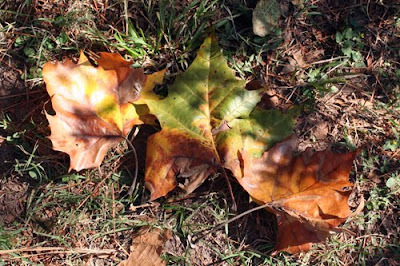 Falling leaves carpet the backyard in many shades of gold, brown, and, yes, orange. 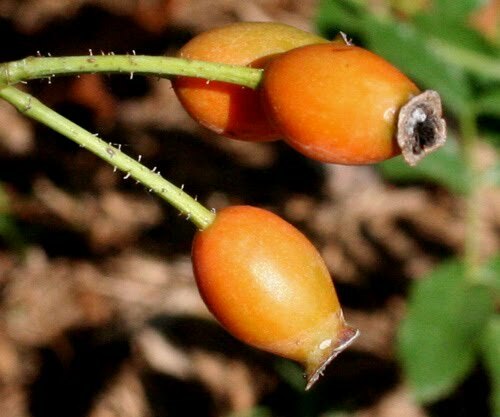 Finally, 'Dortmund's' rose hips ripen into orange. As the days of this momentous year wind down, it seems only appropriate that it should go out in a blaze of glory. A blaze of orange. 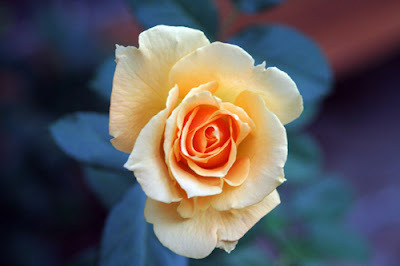 Don't forget to visit our hostess Carol at May Dreams Gardens to see a list of all the wonderful gardens and gardeners who are participating in this month's Garden Bloggers' Bloom Day. One of my very favorite garden blogs is May Dreams Gardens, which is written by an Indiana gardener named Carol. She is an extremely talented and creative writer and her blog entries are never dull and are often very informative. Even though I've never met Carol, I feel quite sure that she is also an extremely talented and creative gardener. 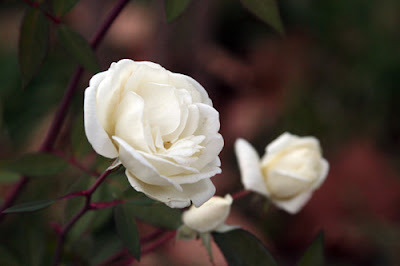 This week, Carol has been exploring the secrets of achieving happiness in your garden and reading her thoughts on the subject has had me thinking about what makes me happy in my garden. Admittedly, there are things in my garden that make me unhappy, but there must be something about it that gives me satisfaction because I keep going out there every day. 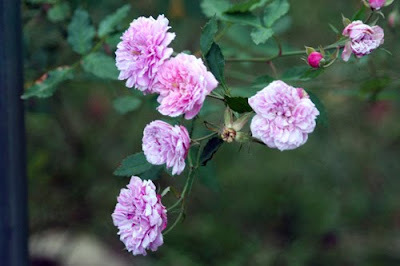 As I was puttering around the garden yesterday - dividing and moving some perennials, planning how to lay out the new pond, and, of course, watering - I made a mental list of some of the things that make me happy in the garden and that keep me coming back for more. 1. Plans that turn out right. Every once in a long while, I do actually get it right! For example, my renovated front yard beds next to the driveway. 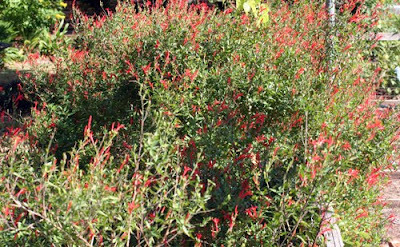 I took everything out except 'Otahal' salvia and added yuccas, Gulf Coast muhly, red ruellia, bulbine, and rosemary, all tough plants, and now, several weeks later, the beds are actually looking good and I think they should hold up well even as our drought continues. 2. Plans that don't really turn out like you expected but still manage to look good anyway. I have a lot of examples of this in my garden! It's called serendipity, I think, and the moral, I guess, is that it is better to be lucky than good. 3. Discovering new plants. By this I mean learning about new plants that will work well in my yard. I often learn these things from my fellow bloggers or other gardeners. But, also, I include here finding plants in the yard that have reseeded or have come back from the roots when I thought they were gone forever. There were quite a few of these this year. For a time, it seemed like every time I went into the garden this spring, I encountered another old friend that I thought I had lost to the winter freezes. Every day was like my birthday, as I was given another great gift. 4. Getting my hands dirty. 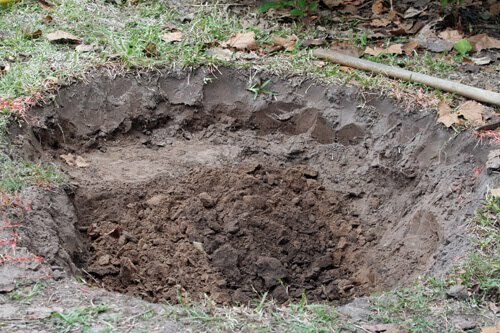 There's just nothing like actually sticking your hands into the soil, getting dirt under your fingernails, and setting a new plant into its hole and tucking the soil in around it. I always take my gloves off when I'm doing this because I want that tactile sensation and I want to "feel" the happiness of the plant as it settles into its new home. 5. Finding earthworms. There was a time when my garden didn't have many earthworms. Now, most every time I turn up a shovelful of soil, there will be several earthworms in it. Wonderful creatures! 6. Watching the garden processes, e.g., dead leaves and garden waste becoming compost. I don't do anything special to create compost. I essentially just dump all the brown and green stuff into one of my three bins, in no particular order or ratio, and leave it there until Nature (with some help from those earthworms) turns it into dark brown, crumbly stuff that the plants love. It takes a long time using this method and I could speed it up if I paid more attention to formulas and turned the stuff, maybe adding water, once in a while. But it works and I'm really in no hurry. 7. Letting go. Real gardens can't be perfect - at least, my real garden can't. 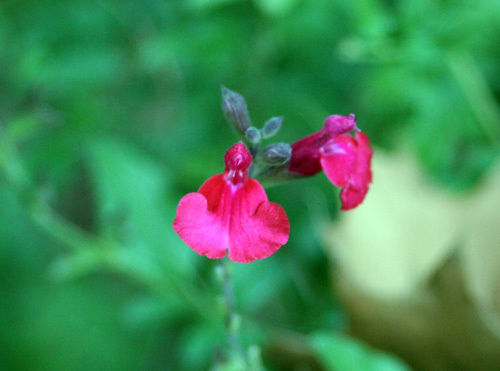 There will always be weeds that sneak in. There will always be squash borers and tomato hornworms and leaf-footed stink bugs - at least there will be if you refuse to use pesticides. So, sometimes we just have to learn to live with imperfection. We have to let go of our high expectations of ourselves and our gardens and learn to live with the possible, the real. 8. Critters. The critters in my garden make me happy. Of course, they are one of the main reasons why I garden. Creating a habitat that provides a balanced and safe environment for them is one of my greatest joys, and when I find a new critter in my garden, it puts me on cloud nine for days. Like the Sickle-Winged Skipper that I found earlier this week. 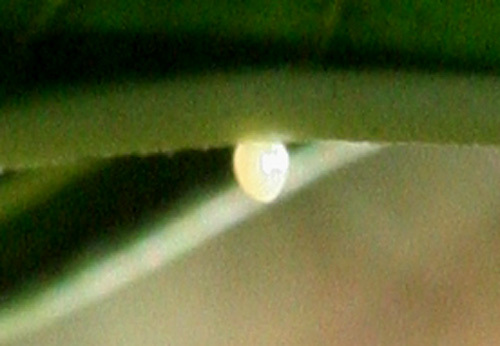 That was certainly one of the high points of my week, as was finding several Monarch eggs and caterpillars. 9. Cleaning up. Yes, a messy, weedy garden is a discouraging sight, but when I wade right in with my favorite tools and get the mess cleared away, what a great satisfaction it is to look around me and see everything neat once again. 10. Sitting in my backyard at the end of a long day, watching the birds come to the feeders. The end of the day is just about my favorite time of day, and if it has been a productive day in the garden, that makes it even better. But the icing on the cake for me is watching the late feeders among the birds as they come in for their suppers. The Northern Cardinals are always there and the shy Mourning Doves love this time of day because there is less competition at the feeders. Occasionally, other birds will drop in for a few minutes, too, but watching these two favorites of mine as they feed peacefully together is the perfect ending of many perfect (and some imperfect) days for me. I could go on, but I'd like to hear from you. 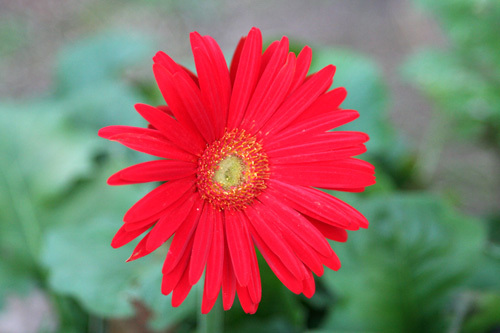 What brings you happiness in your garden? It's Veterans' Day. That means that our younger daughter is engaged in one of her favorite rituals with her dad - doing an all-day movie marathon of war movies. They do this every Veterans' Day. It's daddy/daughter bonding time. Recently my daughter did a story for the Houston Library about their ritual. In her entry, she posted a couple of pictures of her father as a very young, very skinny soldier attached to the 101st Airborne in Vietnam. If you follow one of the links she gave (Battle of Hamburger Hill), you can read an account that that young soldier wrote about that dreadful battle. You can also follow her links to see a list of favorite World War II movies. It's these movies that make up the bulk of their movie marathon and there are some really good ones there. As for me, I don't do war movies anymore. As a young girl, I used to watch them with my father, the World War II veteran, so history is repeating itself in our household. But then I grew up and along came Vietnam and I spent many years watching that war on television news every night. Along the way, I lost some friends and acquaintances in that conflict and that quelled my appetite for ever again watching war movies. But it is important to have rituals, and it is important to remember and to honor the service and sacrifice of members of our military both past and present. And so, on this Veterans' Day, I salute my favorite veteran, who is now happily ensconced watching WWII flicks with his daughter, and all veterans, as well as those still active in the military. Stay well. Stay safe. And thank you. When I went on my walk around the garden this morning, I decided to take my camera just in case something interesting turned up. I'm glad I did! As I was checking on the veggie garden, I chanced to see an oddly-shaped, dull-colored butterfly flitting around the pepper plants. This was my first shot of it. I didn't know if I would get another. It doesn't show much of the critter, but notice how the tips of the wings bend down. This is actually a clue to its identity. I tried to maneuver so that I could get behind the butterfly to get an open dorsal view of the wings. 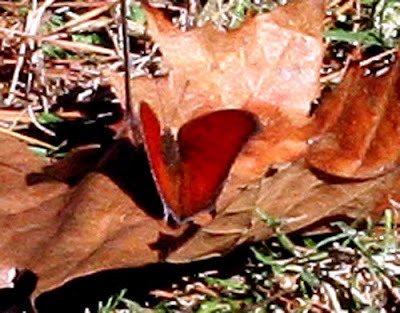 As I moved, what I had at first thought was a dull grayish-brown butterfly showed me that he had some iridescence in his wings. And finally, the money shot! You can see the full shape of those wings that are perhaps 1 3/4 inches wide and appreciate their intricate mosaic of color. Do you know who he is? I didn't. I don't remember ever having see one of these before. 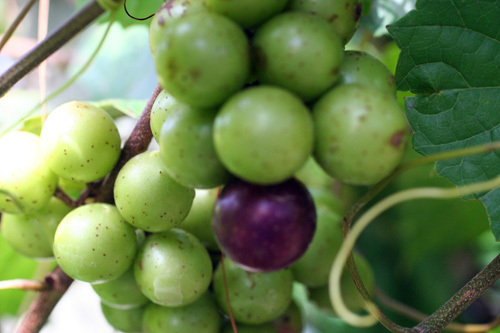 "A. mithridates ranges widely through South and Central America and the West Indies to southern Texas. It is a year-round resident in the southern tip of our state. While not a common Houston butterfly, it does wander northward along the coast and through the central portions of Texas, particularly from August through November." Well, on November 9, 2010, one wandered north and into my yard. Thank goodness that for once I had a camera in my hands to record the event. In recent years, there has been a lot of concern in agricultural circles about the phenomenon called "colony collapse disorder" which has threatened honeybees, not just in this country but around the world. Much has been written about the problem and many scientists have been busy researching it, but still no definitive answer has been found to the question of what causes it. The most likely answer seems to be that a combination of forces has created a kind of perfect storm to menace the bees and overwhelm their immune systems creating havoc in the hives. The question that is sometimes asked is what would happen if all the honeybees in North America became extinct? Well, the answer seems to be that it would be a huge problem for many agricultural enterprises that have come to depend on them, such as the almond growers in California, and it would change our lives in ways that it is hard to even imagine. But as for Mother Nature, she would most likely simply shrug her shoulders and go on with her planting. After all, the honeybee is not native to North America. It was imported just like cattle or sheep. Honeybees are livestock that are wrangled by humans and raised for their benefit. But before the honeybee came to North America, pollination was occurring quite efficiently and if all the honeybees disappeared, although some crops might disappear with them, pollination in the larger world of Nature would not suffer. The reason that the process of pollination is not endangered along with honeybees is that there are more than 3500 species of native bees on the continent! These are solitary bees that do not swarm and they are very efficient pollinators that often do the lion's share of pollinating crops. These native bees, as a group, are sometimes called pollen bees and they have some advantages over honeybees when it comes to pollination. For one thing, they are active early in the spring, before honeybee colonies reach large size, and they tend to stay in a crop rather than fly between crops, thus providing more efficient pollination. Also, native pollen bees fly rapidly and can pollinate more plants, and unlike honeybees, the males, too, are pollinators. Native bees are usually gentle, with only a mild sting, or, in some cases, no sting. So, what are some of these paragons of pollination? Well, some of the most familiar are the bumblebees, carpenter bees, mason bees, and digger bees. These bees are some of the most noticeable species that most of us can easily find in our backyards. Many of the other 3500 or so species are more inconspicuous and fly under our radar. But each of them has an important niche to fill in the environment and they all deserve our protection and assistance. If you want to be kind to bees, there are some concrete steps you can take. 1. Research the kinds of bees that are native to your area. The first step in protecting and helping them is to know who they are. You won't even have to leave your computer to do it. There is a wealth of information online about native bees. 2. Learn to understand the biology and life cycles of native bees. Most of them are solitary, although bumblebees may form small colonies. They are independent creatures, not bound to a queen or any overlord. Many of them hibernate for most of the year - some for up to eleven months. 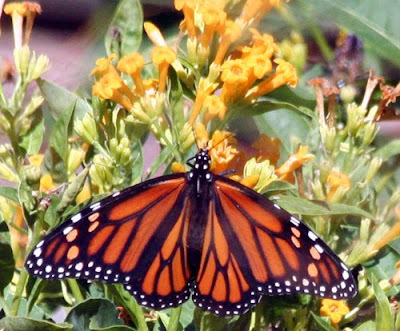 When they emerge, they feed and pollinate energetically. 3. Provide nesting habitats. When you find out what kind of bees you have, learn what they need to nest and reproduce and try to provide the right kind of environment for them. 4. Stop using harmful pesticides! This may be the most important step you can take. 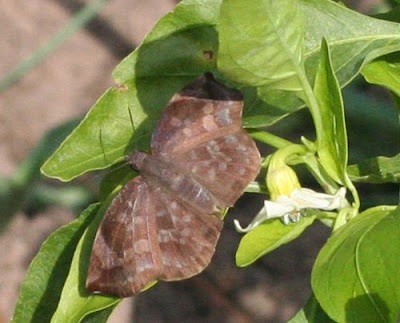 Most pesticides will not distinguish between "good" insects and "bad" insects. 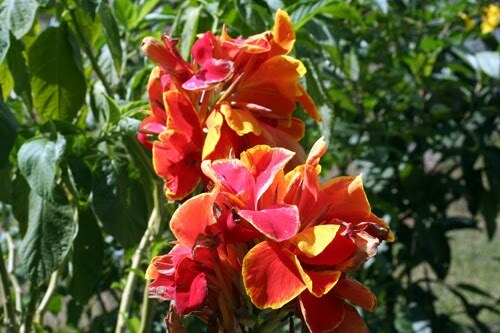 They will kill all insects - bees, butterflies, and ladybugs included. 5. Furnish suitable crops and wild forage. Most gardeners will have no problem with this one. Most of the things that we love to grow are useful to bees, but they especially love things like sunflowers, daisies, milkweed, coneflower, asters, and basil that is allowed to flower. Remember: To be kind to bees is to also be kind to your garden which needs them, and ultimately, to be kind to yourself. 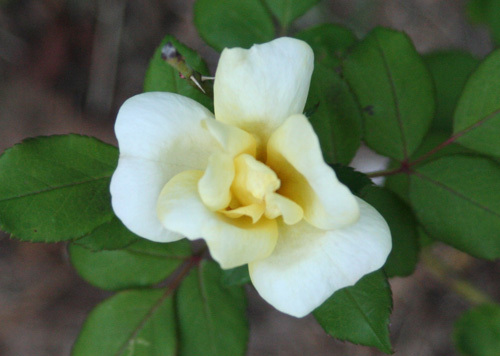 What kind of gardener are you? Are you the kind that draws diagrams of your garden and plans each bed's plantings meticulously? Or, are you an impulse gardener - someone who sees a plant that you suddenly must have, buys it, and then figures out what to do with it? Do you garden to feed yourself and your family? 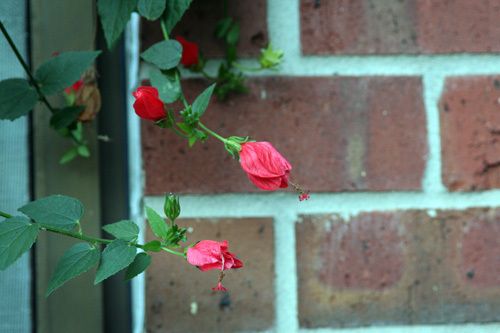 Or do you garden to create beauty in the world and soothe the spirit? Maybe you are an eclectic who does a little bit of all of this! 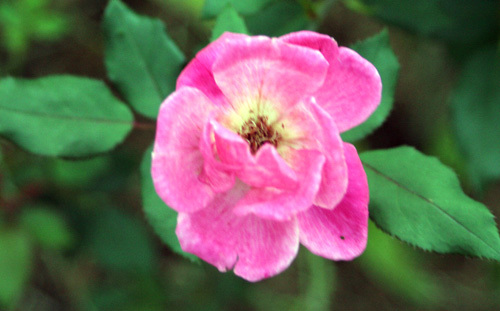 The point is, there are all kinds of gardeners and all kinds of gardening philosophies and reasons to garden. There is not one that is more valid than another. Each is of value in its own way. 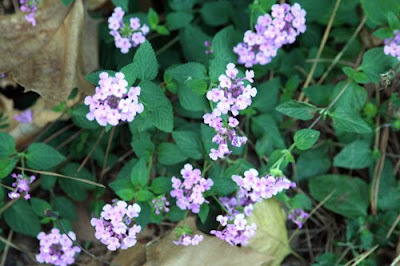 I can't help noticing that many of my fellow garden bloggers are true plant geeks and hortheads. Some of them aspire to have one of every kind of plant there is. 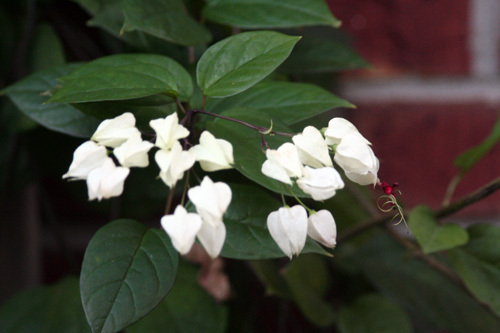 Others will eschew any plant that they deem "easy" or "common". They only want plants that are a challenge to grow. I admire the passion and dedication of these people and I enjoy reading their blogs, but I could never be one of them. I'm just not that kind of gardener. I've been thinking about what kind of gardener I am this week. Last Saturday, I attended a meet-up and plant swap with some of my fellow bloggers and came home loaded down with new plants, seeds, and cuttings. As I went about trying to find places for all of them, I had plenty of time to consider my gardening philosophy. So, what kind of gardener am I and why do I garden? I garden because my parents were gardeners and I guess it is in my blood. I garden to put food on the table because there is absolutely nothing that tastes better than something you have grown yourself. I garden to provide food and shelter for birds, butterflies, and other backyard critters. I garden because I want to make my little plot of the earth the most beautiful, peaceful, and productive it can be. I want it to be a sanctuary for my family and me and for all the creatures with whom we share it. 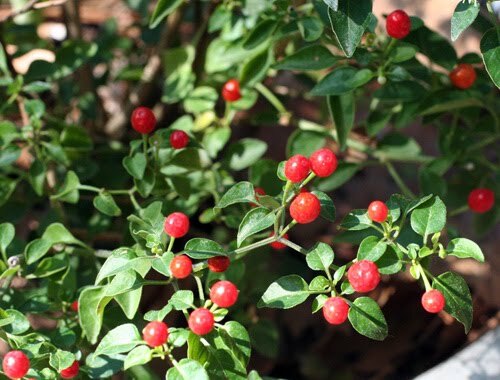 I am the kind of gardener who is perfectly happy with old, tried and true varieties of plants that are immune to ill treatment and forgetful gardeners. I'm just not that interested in trying out the newest and most challenging plant in the nursery, at least partly because I know I would probably kill it! My dirty little secret is that I'm really not that great a gardener. But gardening feeds my soul as no other activity does. Remember the old poem that ends with the line, "One is nearer God's heart in a garden than any place else on earth"? I often feel that is true. I certainly feel closer to the real meaning of life and the source of all things in my garden than I do any place else. All gardens and all gardeners are different, and no two days in the garden are alike. There is always something new to see and experience, some new revelation that had never occurred to me before. And that is what keeps me going out to the garden every day, looking for that new experience. Looking, most of all, for that sudden glimpse of beauty that is almost indescribable, that makes you catch your breath, and brings tears to your eyes. And puts a smile on your face for the rest of the day. I hope your garden puts many smiles on your face in the coming week. Are you concerned about crime in your neighborhood? Maybe you should plant a tree. A new study published by Environment and Behavior Journal has concluded that trees do have a suppressing effect on criminal behavior. The authors studied crimes reported at 2,813 single-family homes in Portland, Oregon, from 2005 through 2007. They found that houses with trees planted in the public right of way had lower crime rates. More specifically, they found that lots with larger trees were associated with reduced crime, whereas those with smaller, view-obstructing trees were associated with increased crime. It's impossible to say definitively why this should be so, but the authors speculate that the presence of significant trees is a subtle signal to potential criminals that the property is well cared for and that the people that live there may be better prepared to resist and report crime, more so than people who live in a comparable house with fewer or less impressive trees. My trees have always given me a sense of peace, not to mention relief from the heat in summer, but who knew they were also protecting me from potential criminals? I'll certainly look at my live oaks with new respect from now on.